Background Bio - Beyond being an obscure peak on the outskirts of Maine, Almanac Mountain is the moniker of conceptual bedroom prog pop impresario Chris Cote. The slight pinnacle of a namesake is indicative of the band’s emphasis on the mundane, simple and modest aspects of life which Cote finds more spiritually liberating than the spectacular, big and awe-inspiring. 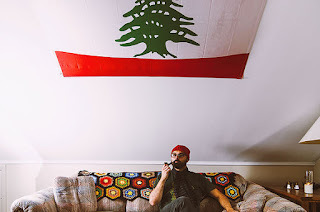 Based on the New Hampshire Seacoast, which happens to be the country’s smallest coastline, Almanac Mountain has cultivated a unique sound which merges Cote’s pop and classical instincts. It is one part ELO, one part Magnetic Fields and one part Franz Schubert. The band began releasing material in 2010 with the When In Nature EP and followed with the debut full length So Many Seas later that year. Their sophomore LP Almanac Mountain Is In Like With You was released in September of 2014 and was supported by a series of shows all over New England. Katie Buxton - You Flew. Background promo - Indie-Folk Singer/Songwriter Katie Buxton releases heartfelt new single 'You Flew'. Katie Buxton is an indie folk singer/songwriter originally from Philadelphia, Pennsylvania and based out of Nashville, Tennessee. At age twelve, Katie picked up the guitar and wrote her first song, and since then has had experience with bands and songwriting in multiple genres. In 2012, she was chosen as a finalist in the Sing for the Trees Songwriting Contest with her song “The World Moves By”. In the summer of 2013, Katie attended the Berklee Five Week Performance Program where she was a finalist in the Songwriting Showcase and received mentorship from Melissa Ferrick and Sally Taylor, daughter of James Taylor. Kynlie - So Called Friend. Background bio - Raised in Nashville, Tennessee, Kynlie grew up surrounded by talented songwriters and eclectic musical influences. She began exploring the world of songwriting at an early age through the music of Carole King, James Taylor, and other classic writers. By the age of thirteen, she had begun to accompany her writing with piano and guitar. 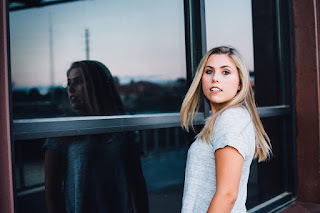 Throughout her high school years, Kynlie used her advantage of being based in "Music City" to explore working in various studios and performing live at venues around town. She released her debut album at the age of sixteen and continued to release her original music throughout her teens. The Rival - My Own Devices. Background promo - The Rival Unveils New Single; Announces EP. 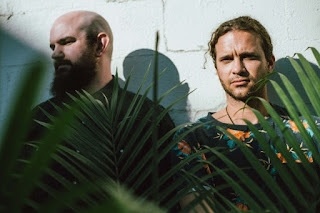 Nashville alt-rock duo The Rival has unveiled the first single, "My Own Devices," from its upcoming EP, Sands. "My Own Devices" was premiered by Substream Magazine which says the track is a, "...massive new jam..." and that Sands, "...offers huge indie rock anthems, catchy choruses, and softer, elegant moments strewn throughout. We can tell you confidently that it’s a release you’ll want to visit repeatedly this fall." "My Own Devices" will be commercially released and available at all digital outlets on August 26. The Sands EP is slated for release on October 7. Steve Young - Home for the Summer. 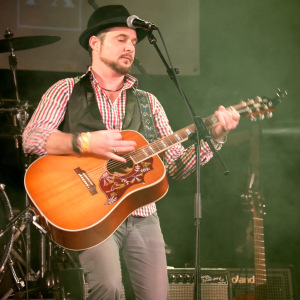 Background bio - The world has been the musical home for singer/songwriter Steve Young, these past years, its length and breadth travelled as his talents as a session guitarist were sought and embraced by a host of popular artists. Recently though, it has been his own magnetic fusion of acoustic pop and alternative country which has been drawing attention and acclaim across the globe with increasing success. Blonde Redhead - Masculin Féminin (Vinyl/CD Album Release). Blonde Redhead - This Is The Number Of Times I Said I Will But Didn't (4 Track Demo). 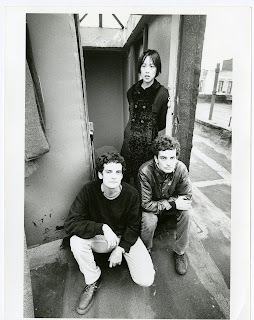 Background - Blonde Redhead has always produced at a furious rate, and the early years of the band were some of their most fruitful, with two excellent albums on Steve Shelley's wonderful but short-lived label imprint Smells Like Records, as well as a handful of stand-alone singles which all contained album-worthy tracks. Numero Group has lovingly compiled this release to document this period in the band's history - these singles are all long out of print and the albums are being made available on vinyl for the first time ever (having originally been issued in that weird period around 1995 where some labels were CD-only). Fatal Jamz - Jean Paul Gaultier. Background promo - LA powerpop songwriter Fatal Jamz will release his sophomore album 'Coverboy' on September 30 via Lolipop Records. Fatal Jamz' Marion Belle has long been one of LA’s most whispered about cult stars. Lauded by punk legends Steve Jones, Kim Fowley, Don Bolles and more, he has helped keep the frontman alive with a voice linked to the feral and lush past of rocknroll. His early aughties groups The Drugs, and later Bowery Beasts put him on the map as a flamboyant torch singer, but it was 2013’s underground anthems Rookie and One of the Girls that established him as a seminal pop auteur. 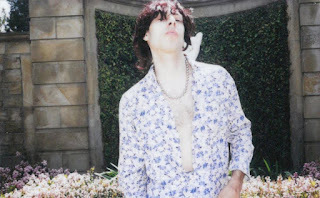 Without a doubt the music behind his Johnny Thunders-esque image has cast a shadow on his generation, while he has fallen, uncategorizable, through the industry cracks for almost a decade. Until now.